"We?ve reached our 200th release here at HoZac, and we couldn?t be more excited for this archival LP, a real dream come true for us devoted fans of 70s Australian Punk. 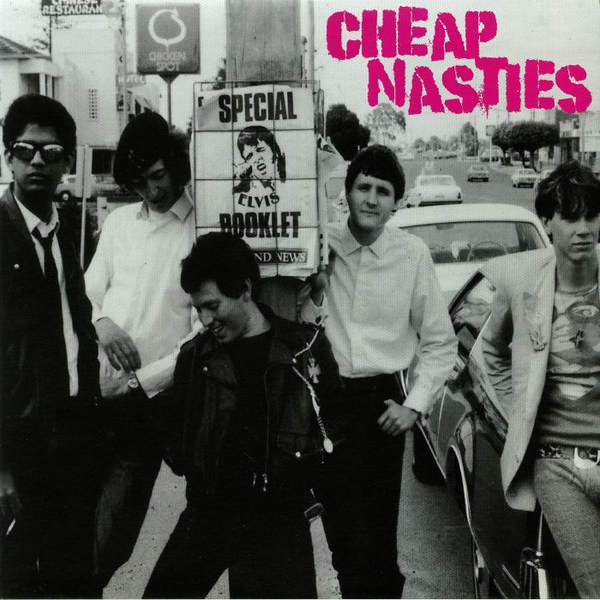 THE CHEAP NASTIES emerged from Perth, Australia in late 1976, 'the most isolated city in the world,' with only a vague notion of the actualized punk format, from what founding member KIM SALMON had read in copies of NME magazine, and purity of heart. Combined with high school friends NEIL FERNANDES, DAN DARE, MARK BETTS and ROBBIE PORITT, the band emerged and for a few months, took hold of the punk market in Perth and shook it for all it?s life. Luckily their sole 1977 demo has survived, and we?ve got it here for you, finally in the LP format, the way God intended, for the first time anywhere. Ten songs of blistering teenage slime, screaming guitars screech in & out of the chorus, drums bash relentlessly, and that special Australian something you can?t ever put your finger on. It?s trashy, raw, and brutal punk slop at it?s finest, fitting in perfectly with the noisy aesthetic of the legendary Australian bands such as News, Babeez, Leftovers, Victims, and Psycho-Surgeons on the Murder Punk compilation series, and less like the early SCiENTISTS or MANIKINS, both of which sprung from the ashes of the Cheap Nasties.